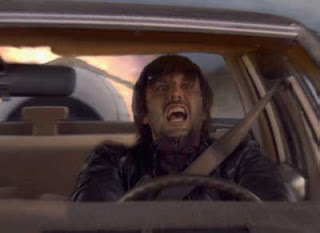 The Darwin Awards is a funny dark comedy. 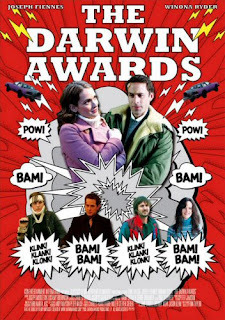 Michael Burrows (Fiennes) is obsessed with "The Darwin Awards" which is about people who kill themselves in the stupidest way possible. After he's fired from his detective job, he goes on a quest with Siri (Ryder) to figure why this happens. Fiennes and Ryder have decent chemistry and the all-star cameos are fun to watch. Arquette's bit is interesting about the guy who puts a rocket on his car. It's also nice to see one of Penn's last performances. The ending involving Metallica was a little lame though. They don't need to act. Once again, it's odd that such a big film goes straight-to-video, but it's better than the movie staying on some shelf somewhere collecting dust. Overall, The Darwin Awards is worth seeing for the acting and the crazy stunts.